Lone Star Rally Motorcycle Shipping. Enjoy your time, we'll handle the bike. 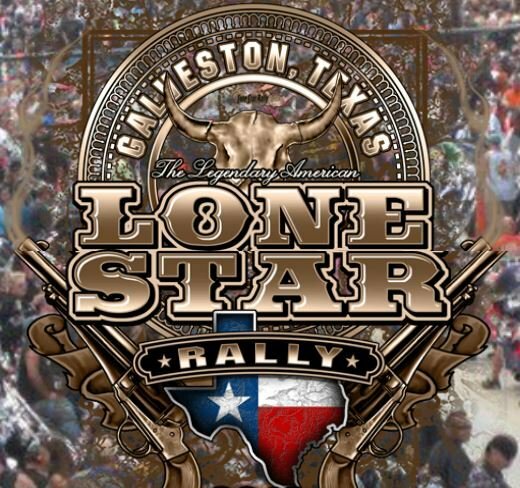 The “Legendary American” Lone Star Rally is held every year in Texas, and brings together thousands of motorcycle lovers from across the country. Known as “North America’s largest weekend rally” the rally has plenty to offer everyone of all ages. Lone Star Rally motorcycle shipping is what we offer to help make your vacation more enjoyable. The motorcycle rally will kick off this year on November 3rd and conclude on November 6th, making it a fun filled four-day rally. It gets better and better every year. The main rally will be at 19th Street and Strand Street in Galveston, Texas.There will be two entertainment hubs at Beach Central Park and Saengerfest Park, where viewers and participants can check out all the event has to offer. Admission is always free, and registration is not required. In addition, the rally is open to all ages. Because of this, it attracts a diverse crowd of characters. The rally vendors will have plenty of freebies to pass out, and lots of contests to enter. You can enjoy a plethora of entertainment, great food, and more at the rally. Motorcycle riding isn’t the only attraction the rally houses. There are plenty of other fun things to do alone, or with friends and family. Galveston is packed with outdoor bars and pubs, so you can enjoy great food and beer while watching the motorcycles ride by. The rally features hundreds of vendors, bike events including bike games, a custom bike show, Run Down the Shore (cruising along the Seawall), and much more. Nationally known bands and live concerts will play live music, including Black Water Mountain, Dan Johnson and the Salt Cedar Rebels, Zach Tate Band, Ryan Rolando Band and more. The rally is sponsored by Geico, Budweiser, Amsoil, O’Reilly and others. There will also be the crowning of Miss Lone Star Rally contest on Saturday. More entertainment is being announced, so keep an eye on their website, as it will be updated frequently. When it comes to attending and participating in motorcycle events and rallies, preparation is everything. Prepare for the largest weekend bike rally this year with reliable motorcycle shipping. Motorcycle shippers can ship your bike to the rally so you don’t have to. You can stress less, save time and money, and enjoy the event when you arrive. Contact us today to learn more about our motorcycle shipping services.